Tatali Napurulla was born circa 1955, in Haasts Bluff, which is approximately 300km west of Alice Springs in the Northern Territory. She attended school at Haasts Bluff, until her whole family moved to Papunya with other Pintupi people. She then subsequently moved to Kintore, where she now resides. 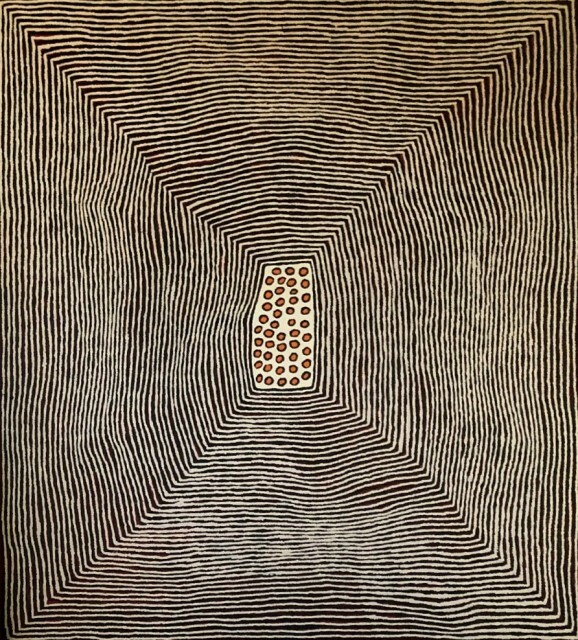 Tatali started painting for Papunya Tula Artists in 1999, and more recently, she paints for select independent representatives. She has exhibited her work both nationally and internationally. Within her paintings, Tatali represents women's ceremonies, particulalry those performed in her country at Desert Bore, north of Kintore.